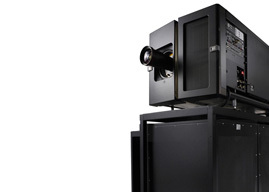 Founded in 2007 and managed by professionals from the motion picture and high-tech industries, Ymagis Group is a European leader in advanced digital technology services for the cinema industry. Through CinemaNext and Eclair, we provide smart, solutions to movie exhibitors, distributors (feature films and live/event cinema), production companies, cinema/TV, advertising networks, rights holders, broadcasters, video publishers and VOD/SVOD platform operators. Over the years, the Group has significantly grown its portfolio of solutions & services and further developed its geographic footprint in Europe with permanent offices in 20 countries. The company’s core business is structured around three main units: CinemaNext (exhibitor services), Eclair (content services) and Ymagis (VPF & financial services). A publicly-traded company listed on Euronext, Ymagis Group is headquartered in Paris (France) and has nearly 700 full-time employees. Founded in 1907 in the early days of cinema, Eclair (Ymagis Group) is a leading audiovisual services company for professionals of the motion picture and television industries. We provide smart and comprehensive solutions to movie exhibitors, distributors, event cinema, production companies, cinema/TV advertising networks, rights holders, TV/IPTV broadcasters, VOD/SVOD platform operators and video publishers. Our company consists of six distinct business units: post production, restoration, preservation, theatrical distribution, digital distribution, and versioning & accessibility. Eclair is headquartered in the southern Paris suburb of Vanves with additional offices in Strasbourg, Auxerre, Karlsruhe, Rabat, Barcelona, London, Berlin and Liège.